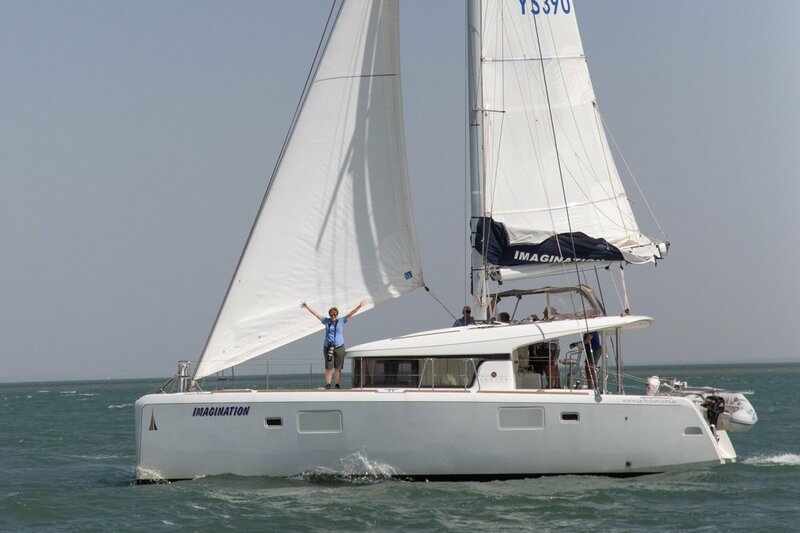 The Lagoon 39 is a spacious cruising catamaran that exudes class and style no matter where you look. With a huge saloon and galley and 360 degree views, the interior is light and airy yet protected from the elements in any conditions. Step down below and you'll find a huge master cabin with ensuite, desk and a super king size mattress. On the starboard side, twin guests rooms with a second shower and head provide comfort for all aboard. The saloon table can fold down to host another two guests rounding out accommodation for eight people. Out on deck is another large dining area with plenty of room to tell tales of your sailing adventures. The helm station is positioned high to ensure full visibility whilst still be connected to the outdoor dining area. You can soak up the sun on the front deck with two trampolines and bow seats on each hull. Imagination is easily sailed short-handed with electric winches and a self-tacking jib. 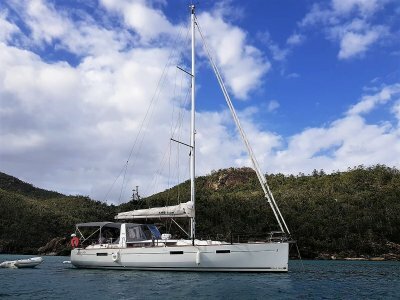 The newly designed rigging on the Lagoon 39 positions the mast further back than previous models, allowing for a larger headsail and increasing upwind sailing capabilities. 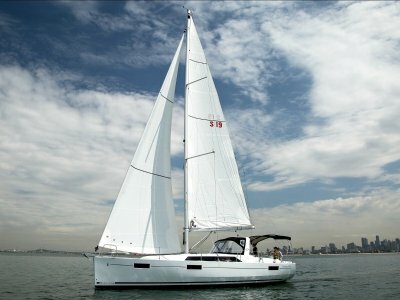 If the winds are absent she will comfortably and economically steam at 7-8 knots with twin 29HP Yanmar sail drives. 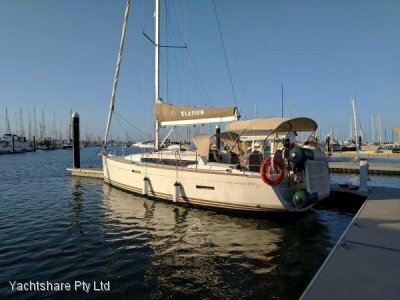 A Raymarine e-Series GPS and chart plotter is installed with autopilot, AIS and several display units which show a multitude of data and gauges. 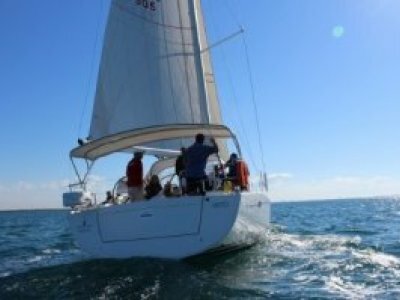 Contact Yachtshare to start your sailing adventures today. JVC Stereo unit. 34 inch TV and DVD player. Service fee includes cleaning, berthing, insurance, registration, anti-fouling, engine servicing, yacht management and much more!